Give your guests a wonferful dining experience with the kings range. 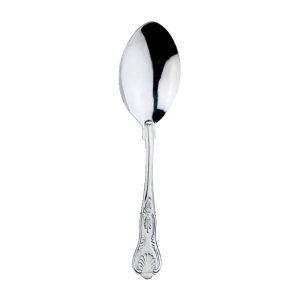 The kings dessert spoon has a uniquely shaped handle with an intricate pattern which gives it an old fashioned feeling. This works well at venues with a similar feel and style.